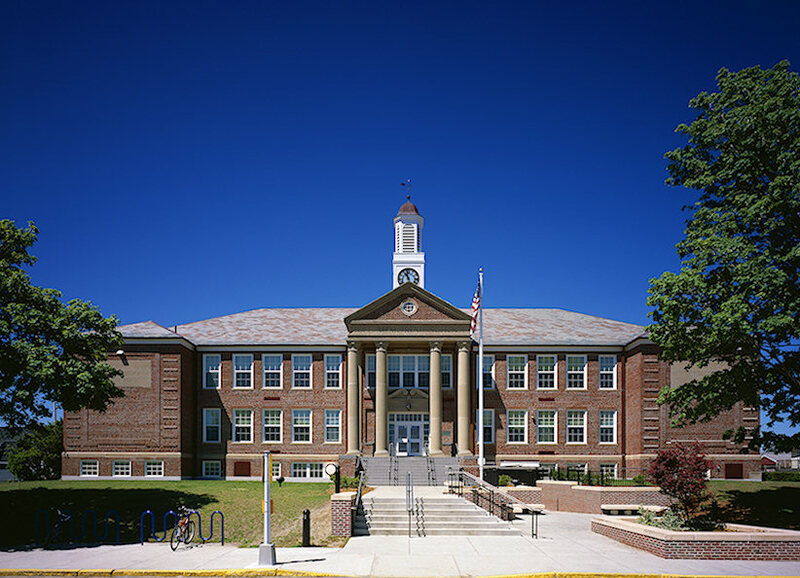 The Memorial Middle School is an important and historic icon within the Town of Hull. The three-story classical revival brick structure and its symbolic clock tower were constructed in 1948, and the subsequent dedication was delivered by then Congressman John F. Kennedy. Ai3 transformed this historic icon into a 21st Century educational facility which demonstrated a respect for the past and vision of the future. The 355 pupil middle school serves grades 6-8 and features a comprehensive technology infrastructure, enhanced science laboratories, collaborative instructional areas, computer and technology labs, and a 21st Century Library / Media Center. The classical portico, three-story stone columns, original slate roof, ornamented clock tower, and symmetrical building facade served as inspiration for the development of an 8,800sf addition, which blends seamlessly with the existing architecture.